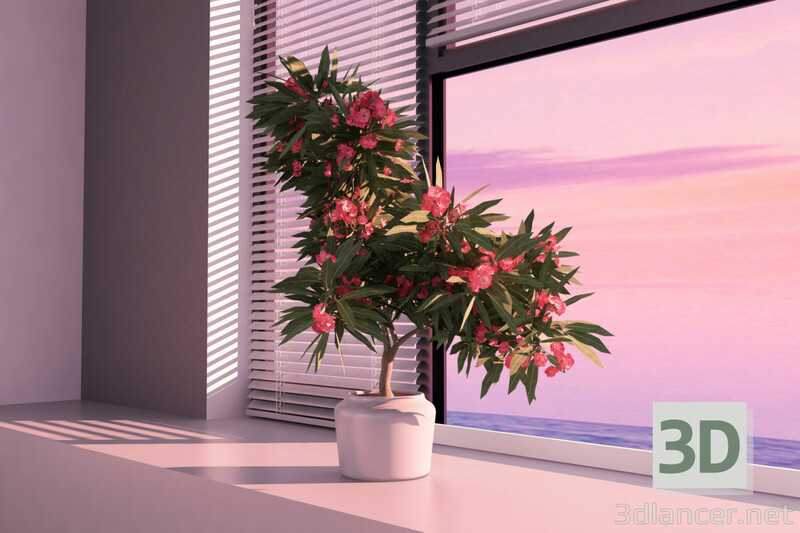 A tree of blossoming oleander for landscaping of office and home interior 3d model. In the archive model 3Dsmax 2012 + textures. Materials VRay 3.20.03.